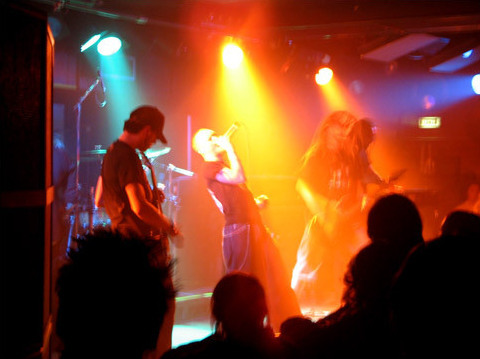 With roots firmly embedded in the heavy sound of Machine Head and other top metal acts of the late 90's, yet with a nod to more popular current acts such as Mudvayne and Tool come If Fire Would Fall. Formed in Feb 2004 from the ashes of local hit bands Subvert and Repressed Desire, IFWF bring a brutally heavy yet intensely melodic sound to the UK's stages, leaving audiences screaming for more at every show. IFWF's twin guitar attacks and powerful bass riffs combine with pummelling drums, atmospheric keys and soaring vocals to bring the listener right into the heart of the songs, making it an intense and powerful experience for every listener. Live, IFWF burn with an energy that kicks off pits at every show, inspiring crowds with a variety of on stage antics. With past shows including the London Garage and the famous Hope & Anchor, IFWF believe that the live sound of a band is just as important as recorded music, resulting in truly awe inspiring live performances that win the band fans at every gig played! Now expanding that fan base with a new, self titled EP and shows all round the country including the Eastern Haze Festival in July '06, If Fire Would Fall are fast becoming one of Eastern England's most popular exports! Preview tracks from the recently released EP & live shows are available from the If Fire Would Fall website and Myspace (addresses below). 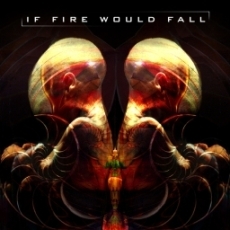 If Fire Would Fall are available for bookings now!